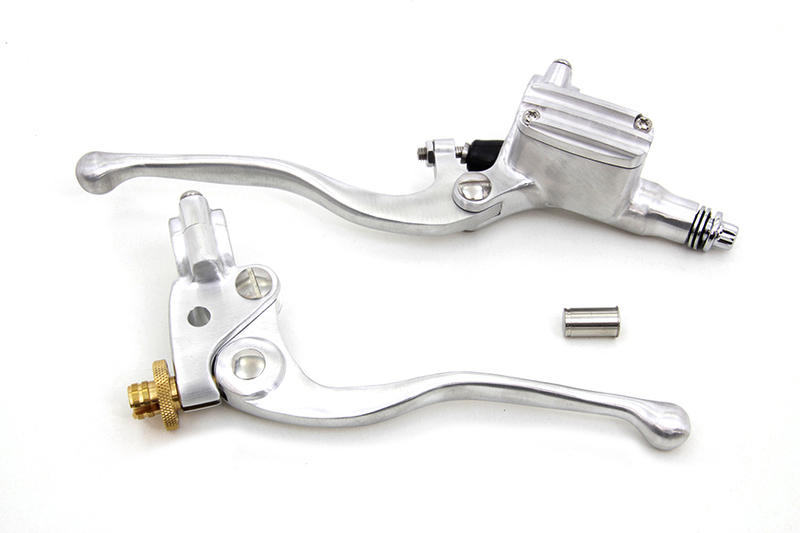 Check out the new hand lever assemblies from V Twin Mfg. This complete kit is perfect to clean up your handlebars on that custom Chopper or Bobber project you’ve been working on. Adding a clean clutch perch & master cylinder to your build is the perfect way to give your bike that extra touch and make it stand out. This custom hand lever assembly is also available in Black or Chrome.